After the sandalwood oil is removed, the remaining condensate is called the hydrosol (or hydrolate or floral water) and it contains many of the beneficial ingredients of the oil, but in a much diluted form. It makes an excellent refreshing, relaxing spray, which can be used as face and body mist, after shave and room freshener. To the pure sandalwood hydrosol, we have added the zingy, natural aromas and skin care benefits of the pure essential oils of Tahitian Limes and Ginger. Its warm, spicy and sweet aroma is known to make one physically energized. 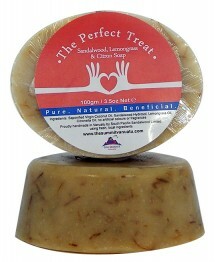 Uplifting citrus oil with anti bacterial and skin toning qualities. Our pure oil is steam distilled from the leaves and green twigs of our Tahitian Lime trees (Citrus latifolia). 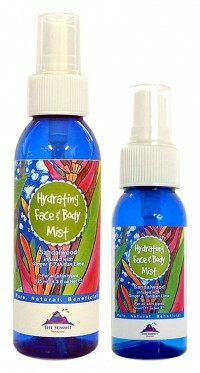 The mists have the same general calming and skin-toning benefits of the oil and powder. Spray on your face or body. The mists can also be used as a room or linen freshener. CAUTION: Discard 6 months after first use. 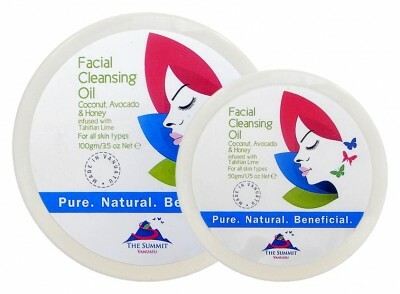 I really love Summit products after first discovering them on a visit to Vanuatu a few years ago.